Check out our new catalog and products! Spring | Summer 2019 Scentsy Catalogs is here! We are excited to share our new Scentsy Cause Warmer: Ribbons of Hope! 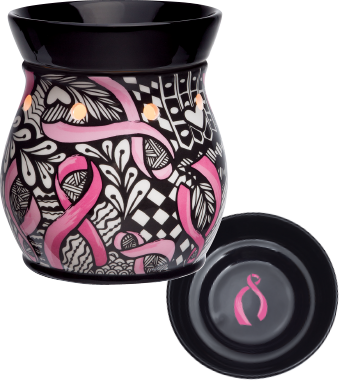 It's a beautiful warmer with $7 of each sale benefitting the National Breast Cancer Foundation, Inc. Order it online! Help us spread a message of continued hope to breast cancer survivors and encourage early detection through mammograms with your purchase of Ribbons of Hope. © Copyright 2019 All Rights Reserved Scentsy Wax Store | Independent Scentsy Consutlant | No portion of this site can be copied or reproduced without written authorization.